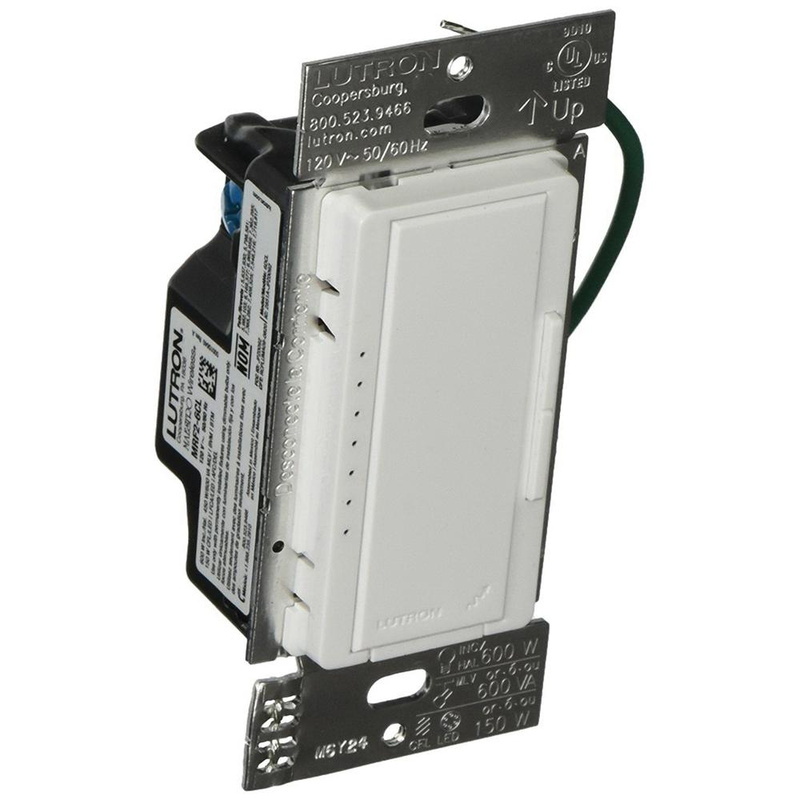 Lutron Maestro® Magnetic low-voltage specification grade multi-location wireless digital fade dimmer in white color, has rocker actuator that returns light to your desired light level. Lutron patented clear connect RF technology works through walls and floors. It offers easy-to-operate tap switch that turns lights ON/OFF to your required light level. It has voltage rating of 120-Volt AC at 60-Hz. This 1-Pole wireless digital fade dimmer in gloss finish, withstands maximum load of 1000-Watts and works with incandescent/halogen bulb. Wall mountable wireless digital fade dimmer incorporates advanced features such as fade ON/fade OFF, high-end trim and rapid full ON. Wireless digital fade dimmer measures 2-15/16-Inch x 4-11/16-Inch. It operates at temperature range of 0 to 40 deg C. Wireless digital fade dimmer is UL listed and CSA/FCC certified.